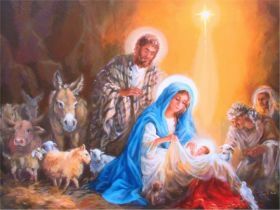 Sunday 9th December at 9.30am is our Nativity Play. Come along and see the wonder of the real meaning of Christmas. The gift of the Christ Child. The present that made Christmas possible. Do come and support the Children of the Church as they bring the Nativity to life.